How many years has it been since you grabbed a handful of color pencils, markers or crayons and sat quietly coloring? Personally for me, this was a pastime that I really enjoyed as a child. I would sit quietly coloring and making each outline in a coloring book my own. When there weren’t enough lines in the drawing, I would add my own and color until my fingers were almost numb. I had the most intricate patterns drawn into an already prepared outline of a horse, or butterfly or bird. Whatever it was, my own artistic abilities let me see that I did not have to stop at the lines provided, but that I could and did add lines of my own to create a sense of movement into a very static outline. My creations always amazed my teachers, some of whom did not “see” that there was much more to a horse, than just a horse. So now in my adult years, I am coming across a whole new spectrum of drawings that are just begging me to pick up my pencil crayons and markers, turn the outside world off for a while and let my imagination begin to soar again. Pictures that are intricate in design, with many overlapping or underlapping images or controlled repeats of symbols are just begging to be rediscovered with the addition of colors. To me this is just a happy turn of events. When I was a child The Secret Garden was one of my favorite books to read and now as an adult, The Secret Garden is just the most wonderful place for me to forget all my problems for a while, grab my colored pencils and sit quietly coloring in the most amazing outlines. What’s even more special for me is that I can spend an hour quietly or two hours and my fingers and eyes are tantalized by how the colors flow.When I have had my fill of peace……I can put it away and go back to it again when my nerves begin to get frazzled. There is no one pushing me to finish my drawing and coloring, yet when I need it, I just have to reach out for my book. 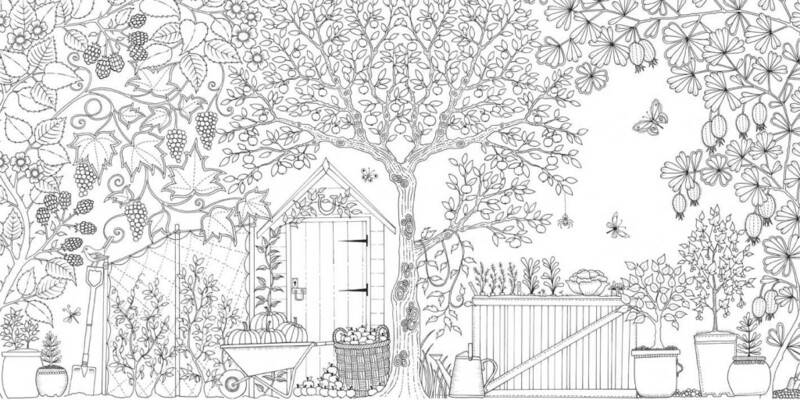 Johanna Basford is the artist that prepares the outlines, and I’m the artist that sees the colors within. The Secret Garden was somethign that this artist put together in the hopes of selling 200,000 copies. She has topped the million copies and now has another book out with more designs that are sure to please the Adult who loves to color for relaxation and for fun. The Enchanted Forest is her second installation of Coloring Books for Adults. I love them both and while I haven’t yet got this one, it is on my wish list. 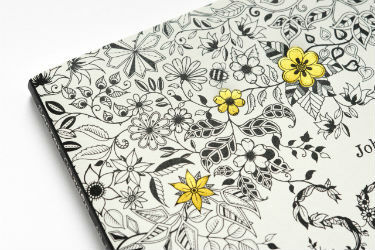 Take a look at the links for these books and you will see how absolutely beautiful these designs are. Add some beautiful colored pencils and you have a gift that everyone would enjoy….I know I sure would!